Both: 100% true-to-style porter traits, mostly identical in the grand scheme of things. If not for tasting them numerous times, back and forth, comparing and contrasting, I definitely would’ve remembered them basically the same. Ragnarok: more of the red wine tannins again, tartness reminiscent of open-fermented, top-cropped English porter. Much more like Sam Smith’s Taddy Porter or London Black Cab Stout than a relatively neutral American knock-off. Heading into Belgian Stout territory, as if that were a thing. A more harmonious bitter/sweet balance but fewer American hoppy traits (grapefruit, pine resin, black currant), except some subtle berry fruit and ganja notes (presumably from the Simcoe, but I still would've preferred more.) Deebee's tasted more of chocolate, coffee, toffee notes...a more interesting balance of hops bitterness and roasted grain bitterness. Ragnarok: lower carbonation (again, more authentically English), more noticeable alcohol (for obvious reasons, it’s a 15% increase over Bully), not in a flawed way, though, it’s still very clean and drinkable, and in fact the elevated alcohol combines with the sweet aromas to produce a perfumey effect. A more complex dark stone fruit aftertaste, for sure. As you can see, I found Bully’s aroma slightly better, but Ragnarok’s flavour and palate slightly better. Overall, Deebee's won by a hair. I LOVE Bully! 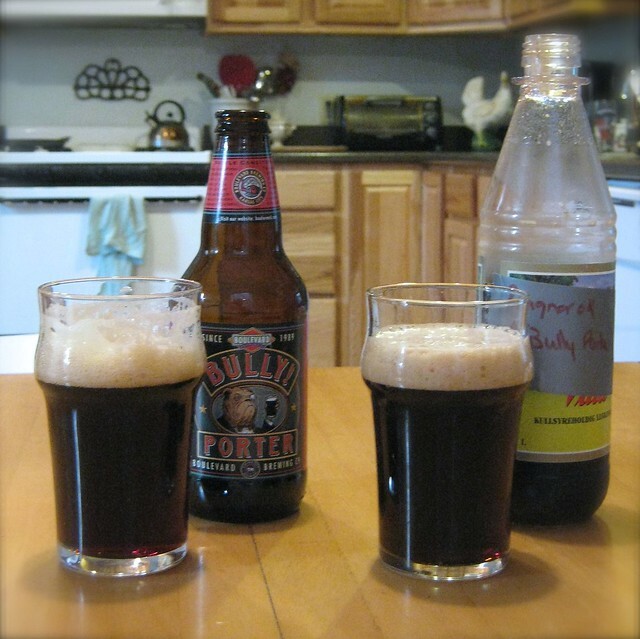 Porter, it’s one of my favourite go-to beers. 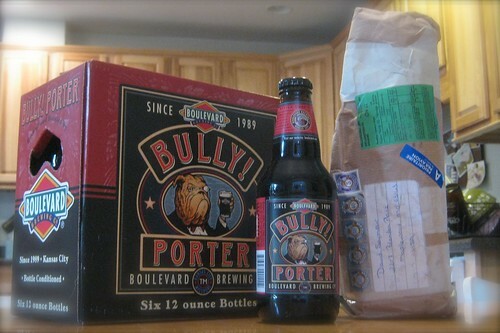 Remarkably, in a side-by-side comparison, his Ragnarok Porter made Bully! seem almost one-dimensional. It was actually a great demonstration of two intepretations of porter, one American, the other more English (or even Belgian), one more hops-forward, the other more malt-forward. Perhaps next time if he were to use lots more Cascade and Ahtanum hops at flame-out, dry-hopped, or both, he would achieve the best of both worlds. I was pretty sure from his forum postings Deebee was a great brewer, but now I've tasted the proof. So thankful he shared.